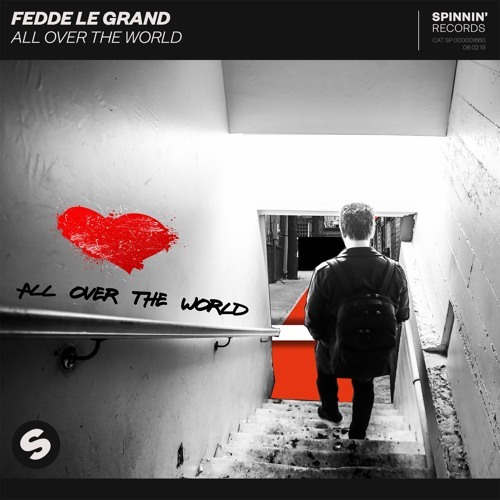 Dutch power producer Fedde Le Grand is back with his first release of the year All Over The World, out now via Spinnin’ Records. This is an incredibly energetic piece of dance music which has just lifted my spirits up! All Over The World starts with a powerful kick drum, which subsides for the track’s uplifting vocal piece, spreading a feel-good energy with its lively instrumental arrangement and scintillating synths. Revisiting Fatback’s classic Spread Love for the vocal piece, this addition to Fedde’s ever-growing catalogue is expertly crafted for festival Main Stages and is destined to light up dancefloors all across the globe in 2019. Watch its official lyric video below! Performing at London’s iconic Ministry of Sound Club last month for his first UK headline show of the year, Fedde Le Grand has already road tested his new single far and wide. With a long list of festival dates and club shows in the diary, including Ultra Music Festival, Siam Songkran Festival Thailand and Strike Festival Korea, 2019 is sizing up to be yet another non-stop year for Fedde Le Grand as he continues to demonstrate his indomitable work ethic and endless production capabilities.